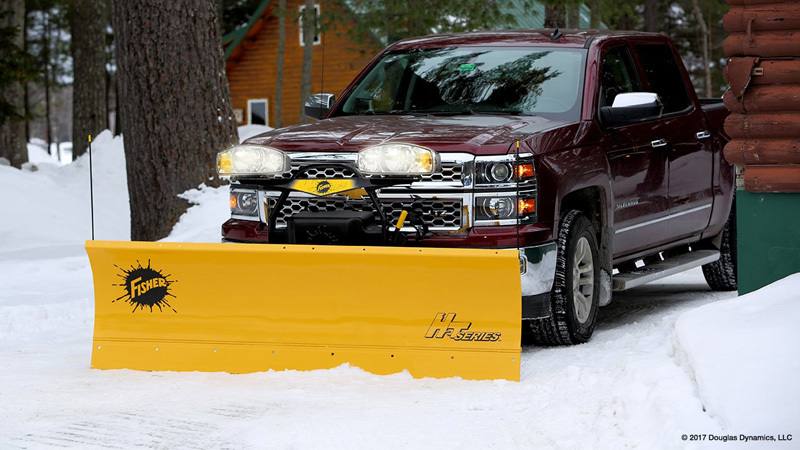 HT SERIES™ for Sale in Londonderry, NH | DONOVAN EQUIPMENT CO. INC.
Ready for personal and light commercial use, the FISHER® HT Series snow plow is a full size, lightweight, trip edge, straight blade plow for half ton four wheel drive pickup trucks. Perfect for home use and small lots in Londonderry, the HT Series snowplow can meet the needs of any winter service professional. Ideally suited for half-ton vehicles, the 7' 6" powder coated, steel moldboard is 27" tall, offering you a full size plow for personal use. The aggressive, 75-degree attack angle provides enhanced scraping and back dragging. The HT Series™ snow plow is backed by six vertical ribs and a full-length horizontal steel tube that provide extra stability and strength to the core of the plow blade. We produce our own hydraulic system to ensure the highest standards of performance, quality and reliability, giving you a plow that is fast, responsive and built to last. All critical hydraulic components are fully enclosed for protection from the elements. The Scrape Lock feature hydraulically locks the blade down for cleaner scraping and back dragging performance. Lift Cylinder 2" x 6 ¾"